The New York Times–bestselling author provides an “entertaining” look at how artists enlighten us about the workings of the brain (New York magazine). In this book, the author of How We Decide and Imagine: How Creativity Works “writes skillfully and coherently about both art and science”—and about the connections between the two (Entertainment Weekly). In this technology-driven age, it’s tempting to believe that science can solve every mystery. After all, it’s cured countless diseases and sent humans into space. But as Jonah Lehrer explains, science is not the only path to knowledge. In fact, when it comes to understanding the brain, art got there first. Taking a group of artists—a painter, a poet, a chef, a composer, and a handful of novelists—Lehrer shows how each one discovered an essential truth about the mind that science is only now rediscovering. We learn, for example, how Proust first revealed the fallibility of memory; how George Eliot discovered the brain’s malleability; how the French chef Escoffier discovered umami (the fifth taste); how Cézanne worked out the subtleties of vision; and how Gertrude Stein exposed the deep structure of language—a full half-century before the work of Noam Chomsky and other linguists. More broadly, Lehrer shows that there’s a cost to reducing everything to atoms and acronyms and genes. Measurement is not the same as understanding, and art knows this better than science does. 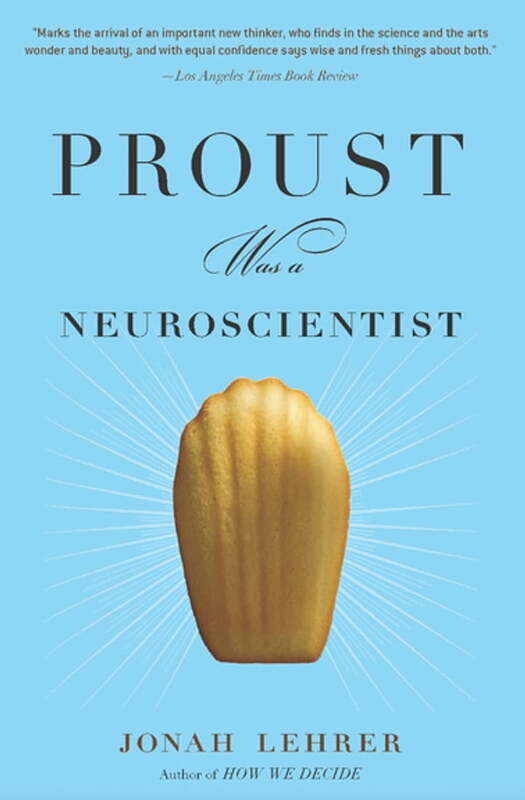 An ingenious blend of biography, criticism, and first-rate science writing, Proust Was a Neuroscientist urges science and art to listen more closely to each other, for willing minds can combine the best of both to brilliant effect.